Cats are at risk of several dental problems, but unlike humans, they can’t tell us when something is wrong. Anybody who has had dental issues will know just how painful it is. This highlights the importance of annual veterinary visits, which will include a thorough oral examination which can pick up dental issues. Gingivitis is the earliest stage of gum disease (below) caused by inflammation of the gums due to a build-up of plaque and tartar on the teeth. Plaque is a sticky biofilm composed mostly of bacteria (predominantly streptococcus), glycoproteins and extracellular polysaccharides which stick to the teeth. If plaque isn’t removed, it hardens to form tartar (calculus). In the early stages, plaque forms and if it isn’t removed the plaque hardens into tartar. Tartar is yellow and is visible along the gum line, where it meets the teeth. Treatment depends on how far advanced the gingivitis is. It may be possible to treat early gingivitis at home with a regular dental cleaning. More advanced gingivitis requires regular dental cleaning (every six months) and extraction of diseased teeth. Also known as periodontal disease, gum disease is a common disease affecting the teeth and supporting structures (bones and gums) caused by chronic inflammation and infection. Gum disease occurs when tartar begins to collect under the gum line. Irritation occurs due to toxins produced by the bacteria in plaque. This, in turn, produces an inflammatory response. Bacterial toxins and inflammation destroy the supportive structures (gingiva, alveolar bone, cementum, and periodontal ligament). Gums separate from the teeth, forming pockets (spaces between the teeth and gums) which become infected. In severe cases, where pocket depth is deep, the veterinarian may need to surgically access the roots by cutting the gums (open flap curettage). A localised collection of pus, (a foul smelling thick white/yellow liquid that is primarily made up of dead white blood cells and bacteria) located within the tooth or surrounding tissues. Dental abscesses can occur for several reasons. Bacteria from a dental cavity descending into the inner part of the tooth and gum which causes the body to wall off the affected area. Trauma can occur as a result of an accident (hit by a car) or biting down on something hard. Surgery to lance the abscess, flush it with saline and where necessary, extract the affected tooth. The cat will go home with oral antibiotics and pain killers. Stomatitis is a common disease-causing chronic inflammation and ulceration of the soft tissues in the mouth. There is no definitive cause, but it is thought to be multifactorial with an immune-mediated component, possibly representing a hypersensitivity to oral bacterial antigens. Other possible factors include oral irritants, some viruses, immunodeficiency diseases, metabolic diseases, drug reactions etc. Professional cleaning of the teeth under anesthesia is necessary, as periodontal disease may cause or at least contribute to stomatitis. Extraction of all teeth may be necessary to provide long-term relief for cats who do not respond to treatment. Cats don’t get dental cavities in the same way humans do. 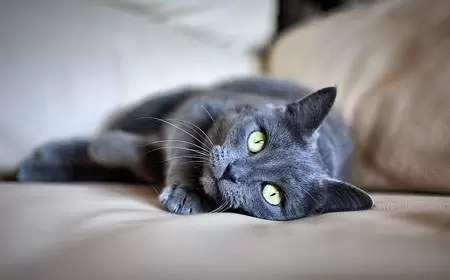 However, a very common problem in cats is feline odontoclastic resorptive lesions (FORL) or tooth resorptive lesions) in which odontoclasts (specialist cells responsible for reabsorbing the roots of deciduous or baby teeth) reabsorb the adult roots and tooth. FORL occurs in between 20-75% of cats. Application of fluoride varnish or sealant over the tooth. Remove the tooth to the level of the gum, leaving the root fragments intact; gum tissue covers the underlying area. Surgical removal of the entire tooth. All of the above procedures will be carried out under general anesthesia. Also referred to as malignant neoplasms or malignant tumours, cancer is the uncontrolled division of cells that normally should be restricted in their growth. Ten percent of all cancers in cats are oral cancer, and squamous cell carcinomas (SCC) are the most frequent type. This cancer accounts for 60-70% of all oral cancers in cats. The next most frequent are fibrosarcomas; other cancers include lymphoma and malignant melanoma. Cryosurgery (freezing) on small tumours. If the tumour is too large, or not in a part of the mouth which can be surgically treated, radiotherapy and chemotherapy may be used to shrink the tumour and slow down the growth. A mouth ulcer (or mouth sore) is a painful, open sore which can affect the gums and tongue. They are not a disease in themselves, but rather they are a symptom of an underlying condition. Mouth ulcers can occur for several reasons including viral infection, ingestion of corrosive substances, stomatitis, immune-mediated disorders, thermal or electrical burns, kidney disease, and oral cancer. Cats have two sets of teeth, the deciduous (baby) teeth which fall out and are replaced with the permanent teeth from 12 weeks of age. Sometimes the adult tooth erupts before the kitten tooth has fallen out. If you see an adult tooth erupting and the baby tooth has not fallen out, it should be removed by your veterinarian as soon as possible. In a lot of cases, the deciduous tooth will already be somewhat loose, and extraction is relatively easy and painless. If treated in time, the adult tooth should grow out in its correct position.